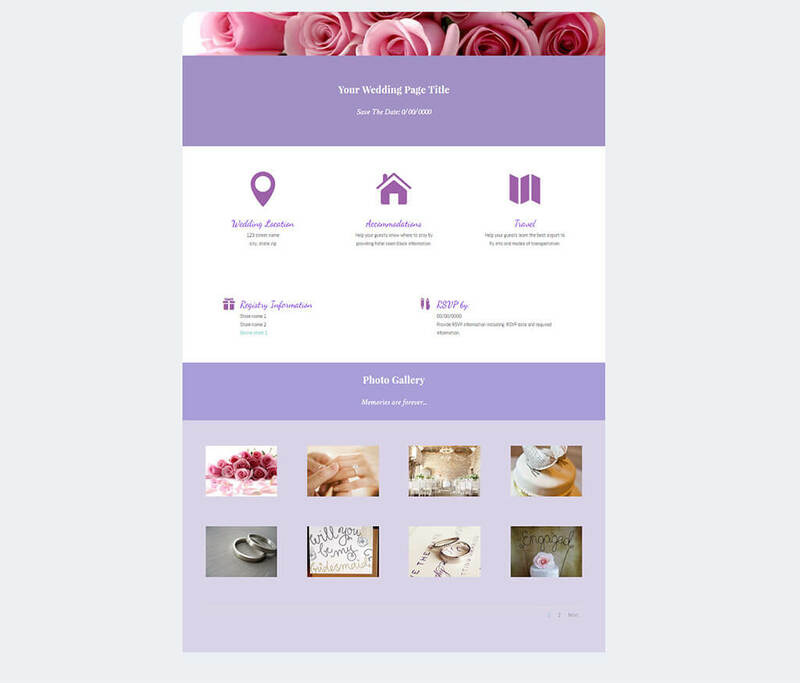 Our objective was to create a website that local vendors can use for advertisements in order to generate revenue. 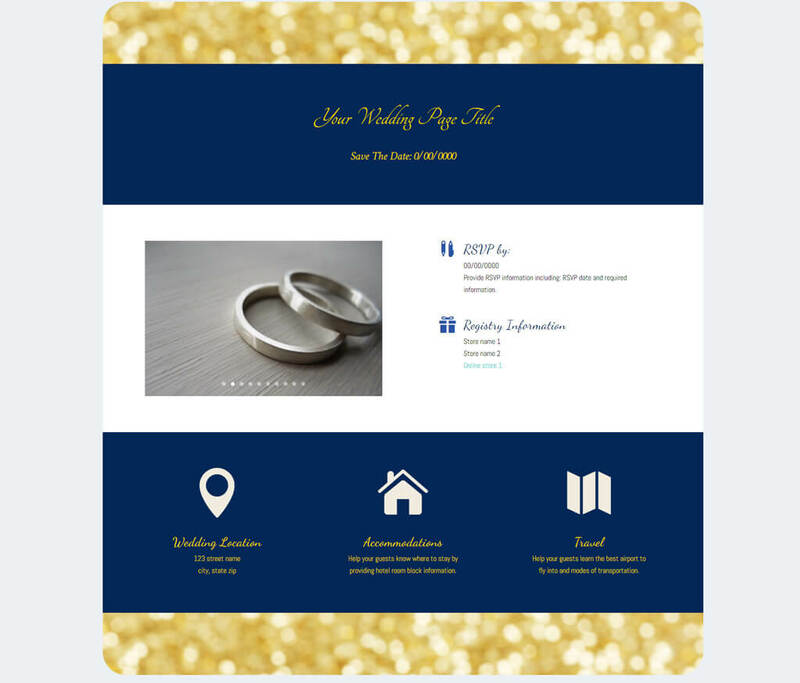 Website also was to allow newly engaged couples a one stop shop for their wedding planning. 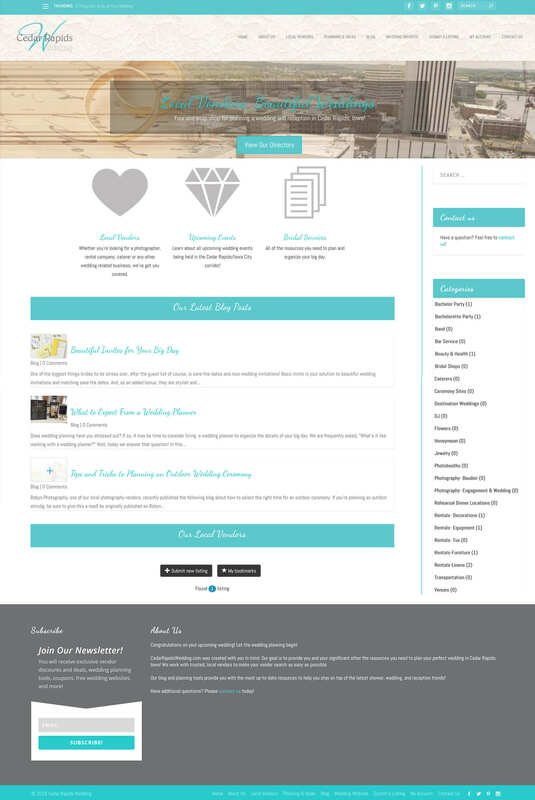 Clean elegant website that is responsive throughout all mobile devices. 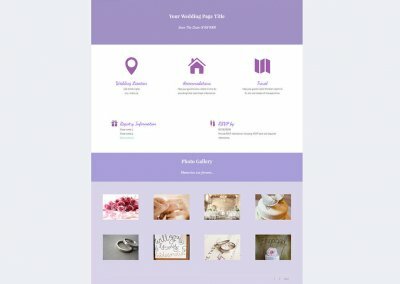 This website hosted an online directory that accepts subscription payments from local vendors. 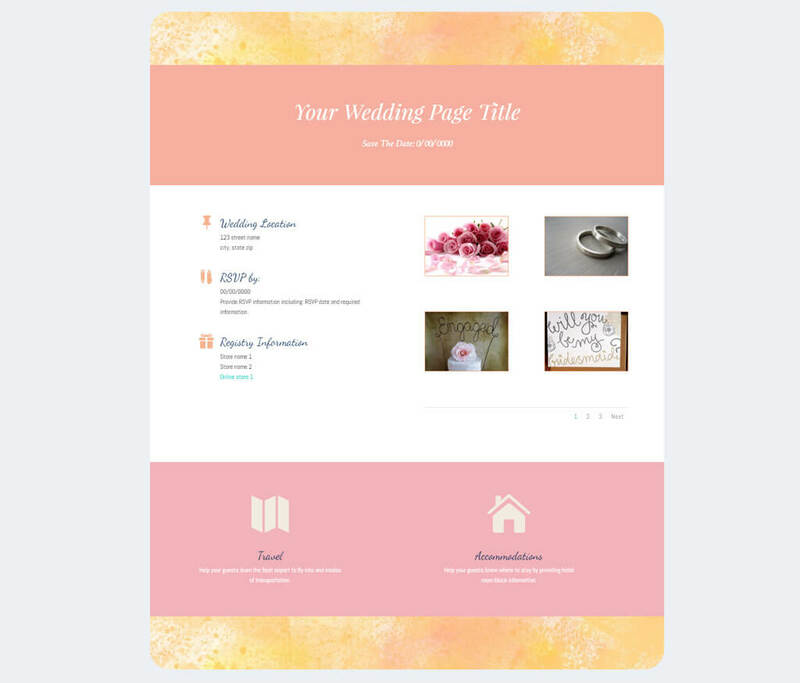 Features an integrated newsletter form (that connects to MailChimp) for site updates. 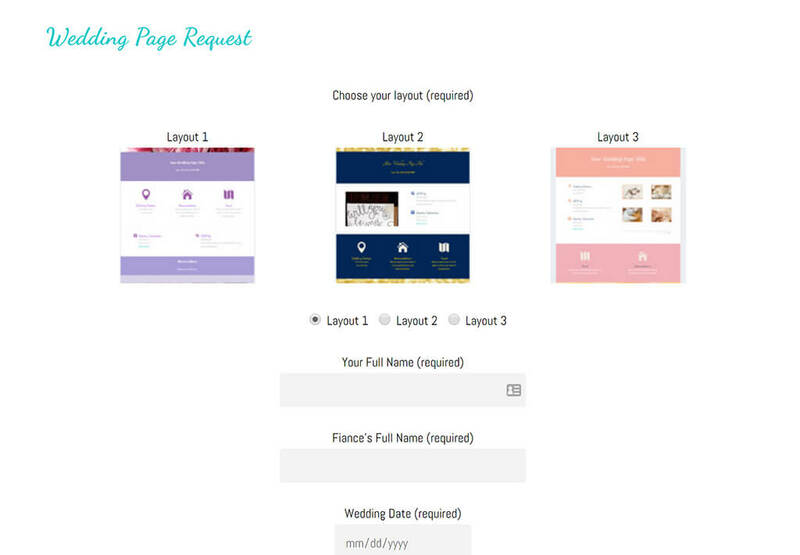 Allows the ability for a bride-to-be to create their own wedding invitation page. Has a blog that the staff manages in which delivers information and fun ideas for the targeted user group. Integrated SMO to easily stay in touch with their client base. Due to the capabilities of WordPress staff can manage blog without having to learn code. After the site was live, we relied on user feedback for additional changes. We continue to update and tweak this site based upon our users’ experience. 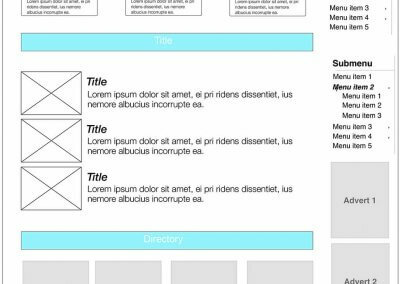 Documented wireframes for layouts and navigation systems. To better understand this project and contribute we placed ourselves in the shoes of the targeted demographic, we conducted a virtual user group to associate needs vs wants and to aim for a better user experience. We worked in conjunction with the MTE team for specs, design feedback and direction on the project’s goals. 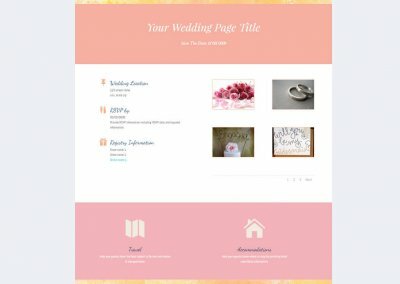 Brides can have their own personal wedding page to let their guests know about their upcoming event. 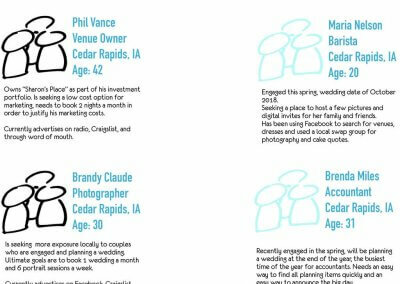 They simply fill out the form choosing one of 3 layouts for their wedding page. 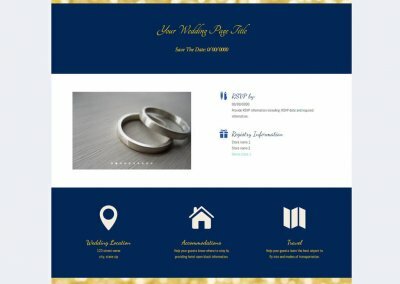 Each page features: a custom page url name, gallery, RSVP, registry info, venue info, accommodations and directions. Create a wedding page form. 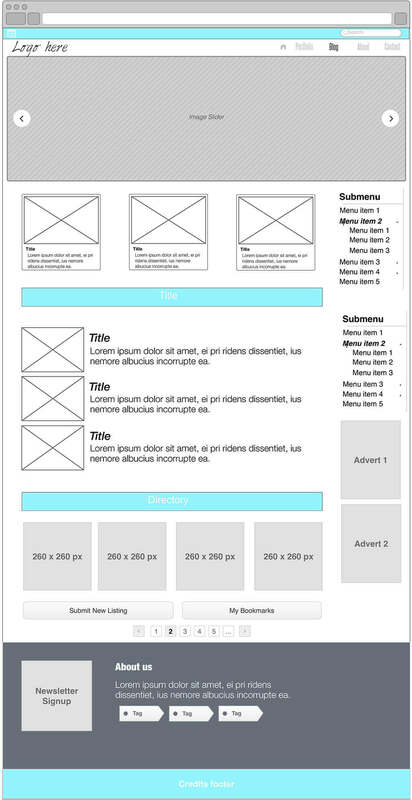 A calendar is featured on the website with a fully customized front end allowing administrators to update events without having to learn code. Calendar also lists up coming events on the front page of the website. 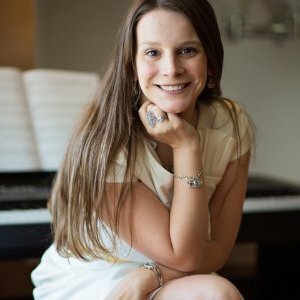 In order to generate revenue, we decided to go with a commercial directory. 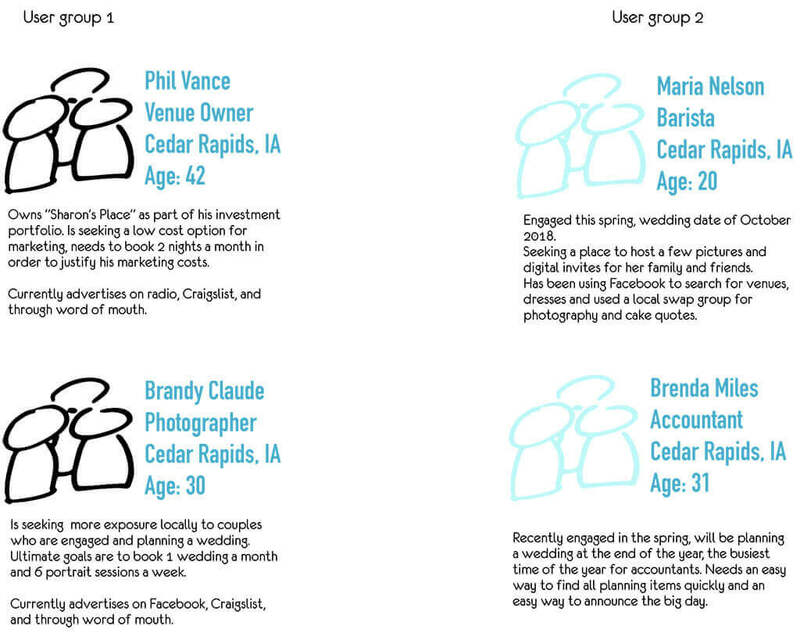 The directory is custom designed to fit the needs of CR Wedding. Functionality includes: Registration & login, dashboard, maps and a user review section.